Went down to water the plants in the glasshouse yesterday, and had a momentary satellite delay as my brain caught up with what my ears were hearing – an out-of-context hooet call from the depths of a tomato plant. 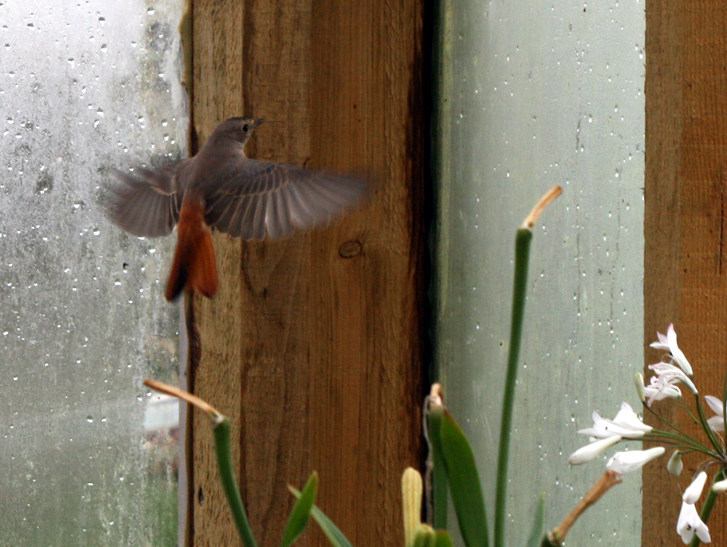 That sounded like a Redstart… and it was. 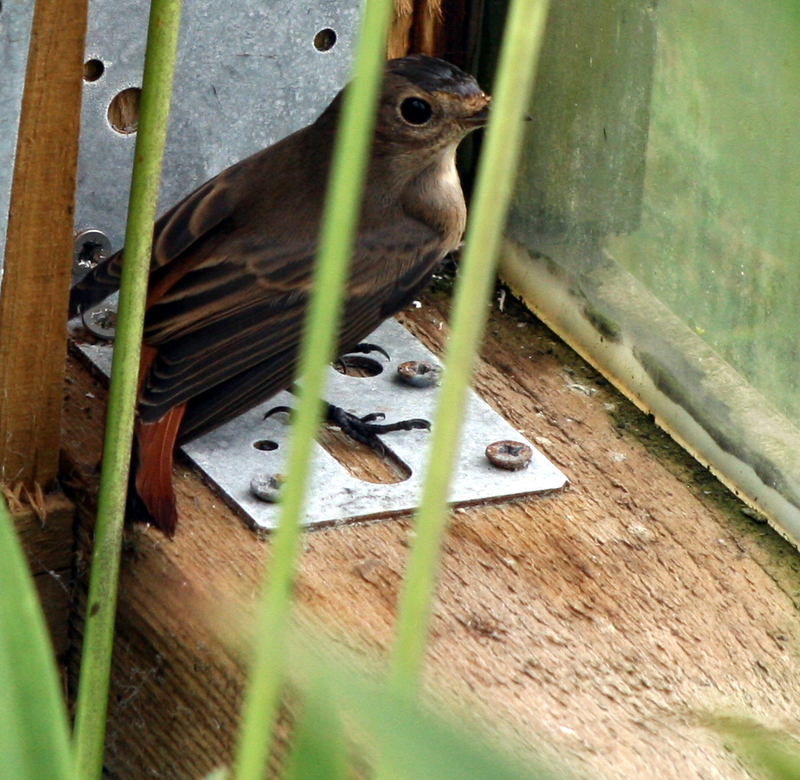 A smart female, zipping around the glasshouse and flycatching. 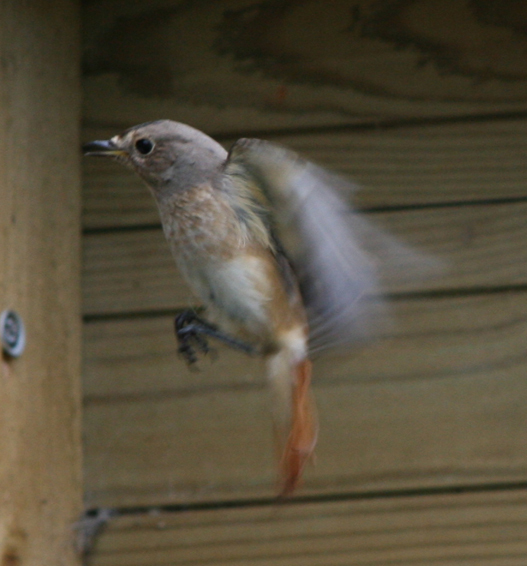 Did you know Redstarts can hover? Me neither. But they can. It was late, so rather than usher her out or catch her and face the hassle of driving to BM well into the evening, I decided to leave her be in there for the night. No shortage of food, and plenty of roosting material in the form of the apple trees and tomatoes. Checking Birds in Shetland, it seems this smashes the earliest autumn Redstart record by an awesome 5 days. Woohoo. It’s not quite the buzz of a self-found rarity, but still… it’s an achievement, of a sort. In these quiet days of summer you have to take your thrills where you can.